Not wanting to stop with hearts, I went on to letters. My son was thrilled to receive a "J." However, it's important to remember that the underside will be the beautiful side. So don't forget to write your letters backwards! My husband luckily noticed and corrected me before I taught Little J all his letters backwards. Overall it was a lot of fun and pancakes are an inexpensive, fun, and easy meal to make at home from scratch. 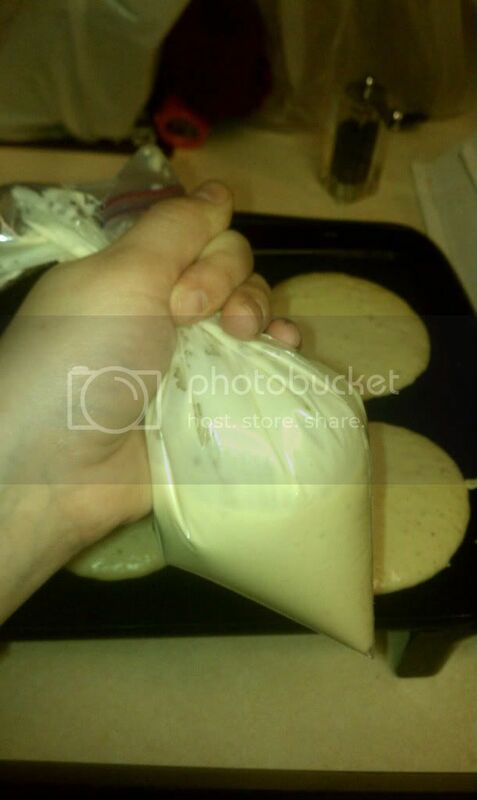 If you end up trying these Valentine's pancakes, I'm really curious to see how they turn out!